Tony is the breaker of the family and usually performs all of the first rides. The rest of the training can be shared between both Ann and Tony. Tony grew up with horses and began a Jockeys apprenticeship at 13yo. He spent 5 years in the industry strapping and riding trackwork. Unfortunately Tony grew too tall and branched out into a trade. Tony spent a month with world class horse and human trainer Warwick Schiller as well as attending many clinics with Ian Leighton and Dan Moloney. 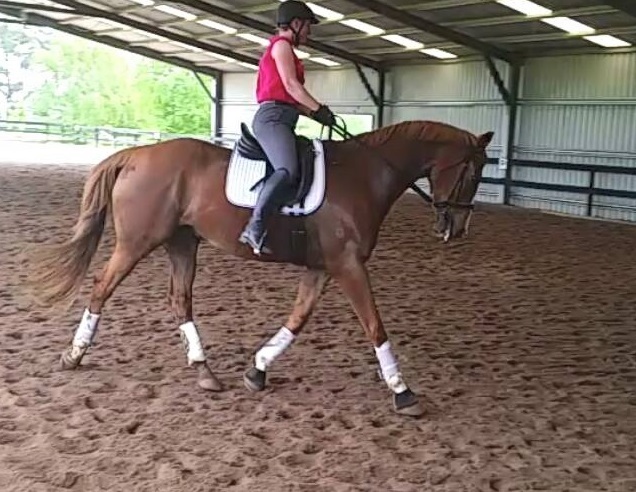 Tony now works with horses in breaking and performance training, specialising in difficult horses. 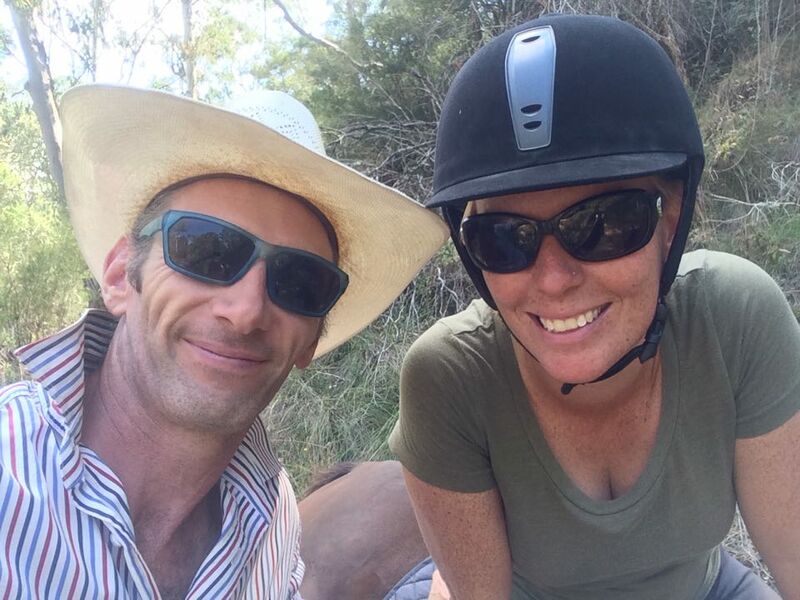 Tony has an emphasis on turning out safe, calm and happy horses and teaching the horse in simple steps that are easy for the horse to understand and learn. Tony works on the basis that the horse is never bad or naughty, and uses equine psychology to understand specific behavioural problems and work out how we can change to address the issue. This is not 'horse whispering' or 'natural' horsemanship. It is just 'good' horsemanship, and understanding how a horse thinks and is motivated, in order for it to be happy in its job. Ann has spent many years working and training horses. She started off working for a showjumper in NSW (Colleen Brook) where good horsemanship was paramount to the horses training. She has continued this throughout the last 15 years bringing on many horses focusing mostly on Dressage these days. Tony has also spent a lot of time learning about hooves, trimming and nutrition associated with hoof health. He has spent time with Andrew Bowe and attended clinics as well as spent many hours reviewing Pete Ramey's extensive hoof trimming information. Tony is happy to confir with you regarding your horses hoof care and rehabilitation, with a focus on correct biomechanics. Tony is neither pro or anti shoe. 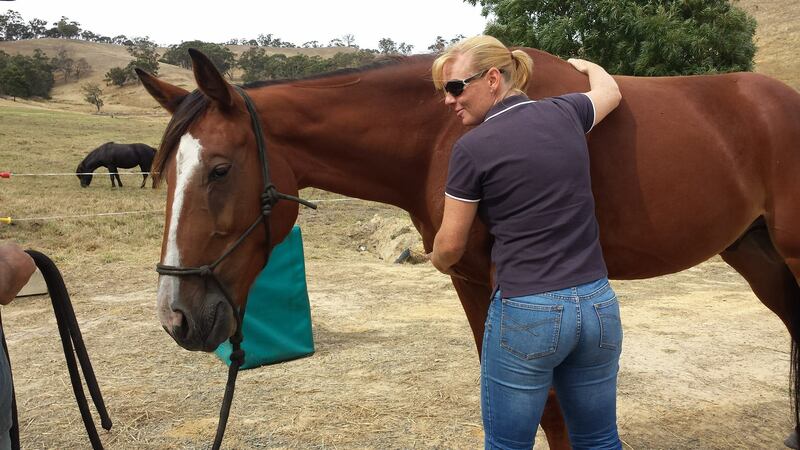 We will do what the horse needs with a focus on comfort, balance and improvement. Our recommendation is to include your vet in the hoof care conversation which may include x-rays where necessary, and the end goal is to produce a good healthy hoof for shoeing, or a good correctly maintained bare hoof. Diet is paramount. We will not persue breaking/training on horses that are physically uncomfortable and will keep you notified at all times. We expect that you will talk to us regarding any concerns you may have for your horses soundness prior to the horse coming for training.